In 1923, test pilot Lt. Gomez Spencer flew inventor Juan de la Cierva’s autogiro in Madrid, Spain, marking the first controlled flight of a rotary-wing aircraft. The autogiro, the direct predecessor of the helicopter, used large unpowered rotor blades to provide lift through autorotation, much like a maple tree “helicopter” seed as it spins to the ground. Instead of falling to the ground like a seed, however, the autogiro could keep flying because it was pulled through the air by an engine-driven propeller, much like a conventional airplane. The spinning rotor blades, acting like the wings of an airplane, permitted very slow flight and nearly vertical landings. 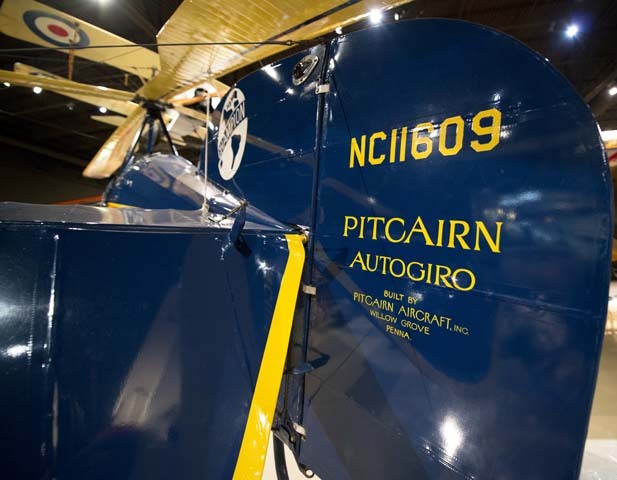 In 1929, aircraft designer Harold F. Pitcairn purchased the U.S. rights to Cierva’s invention and started building his own autogiros in Pennsylvania. One of his first successful designs was the PCA-2 Autogiro. Only two PCA-2 Autogiros exist today – one on display at the Henry Ford Museum in Dearborn, Michigan, and Steve Pitcairn’s Miss Champion. Miss Champion came off the line at the Pitcairn Aircraft Company in June 1931. The type was very much in the public eye at the time, as two months earlier Amelia Earhart had flown one to a record altitude of 18,415 feet on April 8, 1931, and Pitcairn test pilot Jim Ray landed one on the White House lawn on April 22. Knowing that autogiros attracted attention wherever they flew, the Champion Spark Plug Company decided to buy a PCA-2 and use it as a flying billboard to advertise their sparkplugs. The company bought serial number 27 and painted it dark blue with bright yellow rotor blades and wings, and then put a large Champion logo on the side. 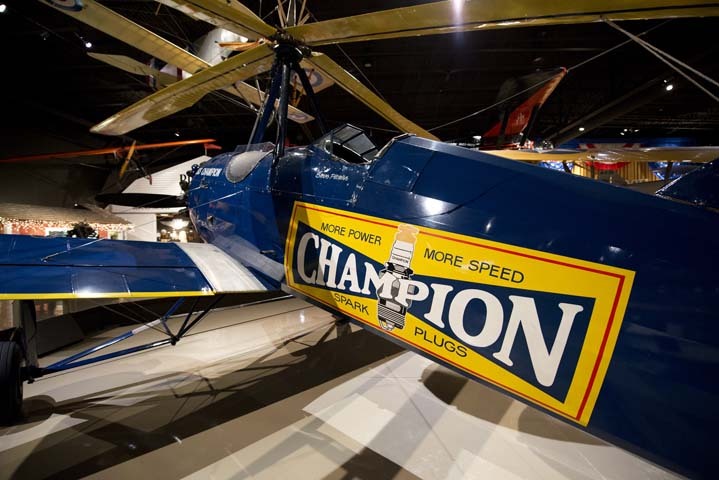 The aircraft immediately became known as Miss Champion and was put to use advertising Champion spark plugs all over the country. Captain Lewis Yancey flew Miss Champion more than 6,500 miles, visiting 21 states and 38 cities with the 1931 Ford National Air Tour. Everywhere the Autogiro flew it was the main attraction. In January 1932 Captain Yancey flew Miss Champion over 300 miles from Miami, Florida to Havana, Cuba. From there he flew across the Gulf of Mexico to Mexico’s Yucatan Peninsula, where he used the Autogiro to help archeologists explore Mayan ruins. The Autogiro’s slow flight and spectacular landing characteristics allowed the archeologists to make many discoveries they might never have found on the ground. After returning to the U.S., the Champion Spark Plug Company retired Miss Champion at the end of 1932. Soon after, it was placed on exhibit at Chicago’s Museum of Science and Industry. 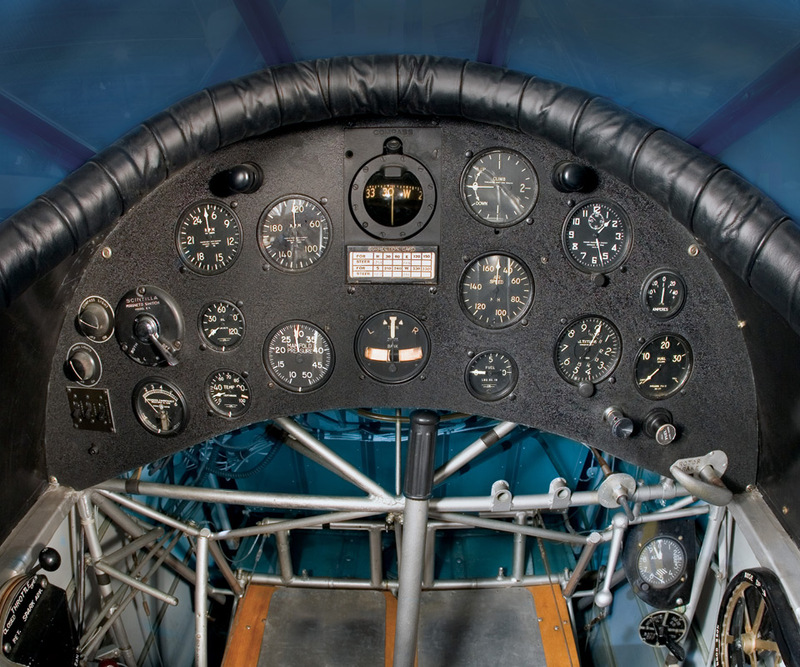 After World War II the Museum sold the aircraft to Gerald Arnold who in turn sold it to A.K. Miller. It eventually wound up in a barn gathering dust until rescued by Steve Pitcairn, Harold Pitcairn’s son, in 1982. 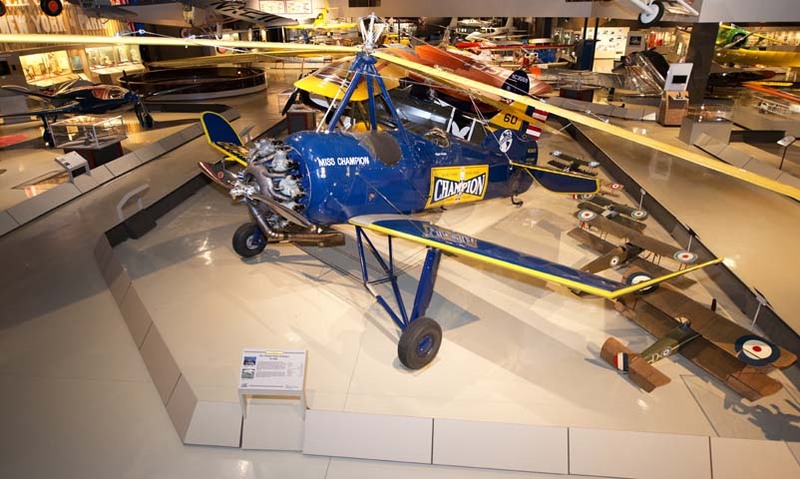 Pitcairn had Miss Champion restored to flying condition and flew her to Oshkosh in 1986. 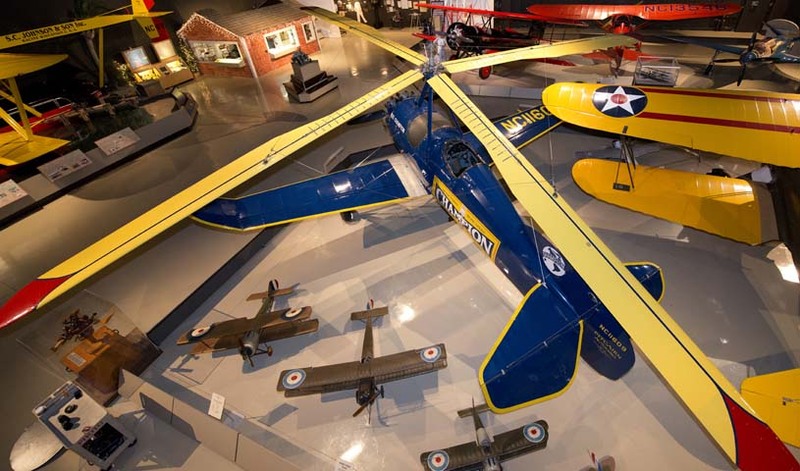 In September 2005, Miss Champion joined the permanent collection of the EAA AirVenture Museum, where it’s now on public display as a prized example of early rotary-winged flight.